The Andaman and Nicobar Islands comprise some 572 tropical islands in the Bay of Bengal. Of this only 38 are inhabited. They lie between India and Burma and stretch to as far as the tip of the Sumatra islands. It has a total area of around 8293 sq.km. There are many more uninhabited and undiscovered islands. The majority of the islands constitute the Andaman group and 19 other islands, the Nicobar group. The Andaman group comprises of the North Andaman, Middle Andaman, South Andaman, Little Andaman,Ritchie's Archipelago and many smaller islands. The Nicobar group consists of Great Nicobar, Little Nicobar, Car Nicobar, Nancowry, Katchal and Chowra.. Most of the islands have coral reefs, white sandy beaches and are excellent places for snorkeling and scuba diving. 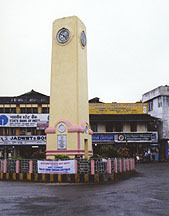 Port Blair, the capital of the Union Territory is in South Andaman. Some tribes belonging to the Stone Age inhabit these islands. Some of them are friendly and some are hostile. Some are on the verge of extinction. Tourism is slowly penetrating these islands with great efforts of the Indian Government and many other private ambitious parties. During the 18 th century, the Islands were the base for the Maratha admiral Kanhoji Angre. He could not be defeated by the Portuguese and the British. After his death in 1729, the islands were annexed to the Indian sub continent and were used as a penal colony for Indian freedom fighters. 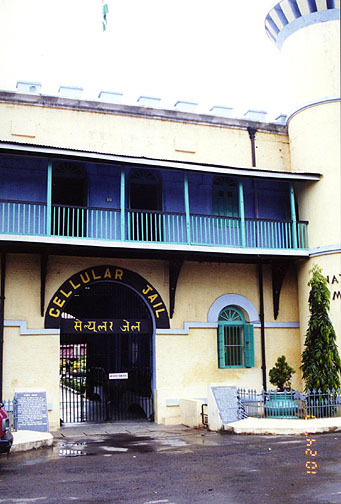 The cellular jail was constructed in 1908. The islands were incorporated into the Indian Union after the country gained independence. Now they are administered as an Union Territory. South Andaman-Middle Andaman- Little Andaman (except Jarwa reserve), Bharatang, North Passage, Neil Island, Havelock Island and Long Islands. Immigration authorities in airports of the aforementioned cities. ** Indian Nationals need no permits to visit the Andamans. This festival of Indian classical dance, vocal music and ballet is held from the 16th to the 25thof every December. Cultural troupes and artists of national and international recognition perform here during the festivaland handicraft stalls are put up. 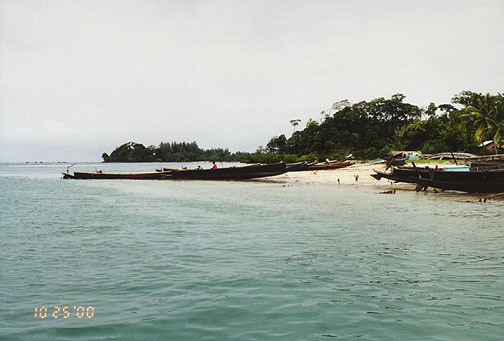 The tribals are the main attractions of the Andaman islands. They constitute about 10% of the total population of theislands. The Onges, Sentinelese, Andamanese and Jarawa are residents of the Andaman Islands and the ShompenandtheNicobarese of the Mongoloid descent belong to the Nicobar Islands. Andamanese - the Andamanese are just around 20 in number and they are nearing extinction. Most of the populationwas erased from several thousands due to various epidemics. They are now resettled in Tiny Strait Island. Jarawa - numbering around 750, the Jarawas occupies the Reserves in South and Middle Andaman. They are very reserved and do not mingle with visitors. Onge - they number around 100 and they occupy the Reserve at Dugong Creek, which is a 100-sq.km reserve. Nicobarese - They are around 30, 000 and they are maintaining their number. Most of them are horticulturists and they mingle with the Indian society. They occupy the Car Nicobar Island and majority are Christians. Shompen - these hunters are around 200 in number and they live in the forest areas of Great Nicobar. 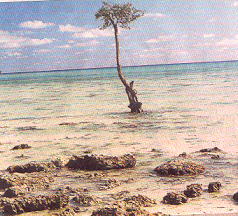 Sentinelese - They avoid any contact with outsiders. Around a hundred and they occupy the North Sentinel Islands. Corbyn's Cove -This is the nearest beach to Port Blair. It is seven kms from the town and four kms to the airport. There is a long cliff top walk from Port Blair to the Cove. The nearby Snake Island has excellent corals and fishing boats areavailable for a ride here. Ross Island - This can be reached by a launch, which operates, from Harbor Master. The island has a small zoo and a lighthouse. It is a couple of kms east of Port Blair and was once the administrative headquarters of the British. It can also be reached by ferries from Phoenix Bay, which are available daily but for Wednesdays. Peacocks and spotted deers are found in the forests of the island and there are the ruins of an ancient Anglican church atop the hill.Ross island is named after a British Surveyor, Sir Daniel Ross who chose this place to establish a colony in 1789. Ross Island was the site of the dreaded "Kalapani" punishment meted out to convicts by the British rulers before Independence. The convicts were left out under the tress in the night with the surrounding dark sea and sky for company and hence the name meaning Black Water Punishment. A penal settlement was established here in 1857 but this place lost its importance after the Cellular Jail came into prominence. Harriek Islands - this was once the summers resort of British Officers. It has good natural scenery. Anthropological Museum- this museum here displays tribal lives and their crafts. Neil Island - This is famous for snorkeling and has many fine beaches, which are numbered. It is 40 kms from Port Blair and is comprised of mainly Bengali settlers. It can be reached by ferry from Phoenix Bay in 3 hrs and the ferry is available on Fridays and Wednesdays. This is also inhabited by Bengali settlers and is 44 kms from Port Blair. It has sandy beaches and is also best for snorkeling, beachcombing, sunbathing, surf-riding, swimming and sunset or sunrise watching. Apart form corals, dolphins, turtles and large fishes can be spotted here. Ferries are available from Phoenix Bay. It takes four hrs for the journey.At Havelock island are many beach resorts like the Dolphin Yatri Nivas run by the Andaman and Nicobar Islands Integrated Development Corporation(ANIDCO). Middle Andaman - The Andaman Trunk road runs from Port Blair to Bharatang Island and Middle Andaman which are linked by frequent ferries. Beware of the Jarawa tribals on the way , though the island is open for visitors. The main town Rangat can be reached from Port Blair by ferries via Havelock and Neil islands in nine hours. By bus it takes 6 hours. North Andaman - Diglipur is the important place here. 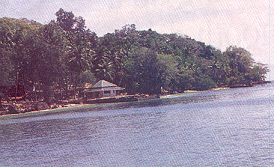 There are weekly ferries from Port Blair and daily ferries from Mayabunder, which is 17 kms north of Rangat. Cinque islands - These are the most beautiful islands in the group. It is surrounded by clear coral reefs and most of its area is covered under the Wandoor National Reserve. It is 3 hrs by ferry from Phoenix Bay. Little Andaman - The Onge tribals inhabit the Little Andaman islands. They are mainly confined to the southern part and the northern part is open to visitors. Ferries land at the Hut Bay in the eastern coast. The coast is a good place for swimming. From Port Blair, it is an 8-hour journey till Hut Bay and ferries operate once or twice a week. This island is part of the Mahatma Gandhi Marine National Park. Jolly Buoy is open to tourists and is a nice place for snorkeling, coral viewing and swimming. Boat services are available to the Jolly Buoy island from Wandoor. This is the headquarters of the Union Territory and is 1255 kms from Kolkata and 1191 kms form Chennai by sea. The town is situated around the Harbor. There are flights from Chennai and kolkata to Port Blair. The journey by sea from Kolkata to Haddo Harfey Harbour in Port Blair would be an unforgettable experience. It takes four days to reach by sea form Kolkata. Buses, taxis and coaches are available for inter- town travels and boats for inter -island trips. The town is spread over a couple of hills. The bus terminal, hotels, dock, shipping offices are all in the main bazaar area called Aberdeen Bazaar. The airport is a few kms south of the town. The nearest beach is Corbyn's Cove, which is 7 kms south from Aberdeen Bazaar. This old building with 756 cells in seven wings once housed many freedom fighters. It was built by the British and is now a major tourist attraction. It is now a National Monument. One of the wings has been now converted into a museum in honor of the freedom fighters who breathed their last here. It is open daily. A sound and light show is held here in Hindi daily at 6 p.m. During the tourist season, on Wednesdays, Saturdays and Sundays the show is held in English at 7 pm. Samudrika Marine Museum - This museum has many galleries covering the history and geography of the islands, their people, marine life and archeology. There is also a good show of shells and corals. Anthropological Museum - This museum exhibits the tools, dresses of the tribals here. It is open daily except on Sundays. Mini Zoo and Forest Museum - Over 200 indigenous animals are found here. Noted among them are the native Nicobar Pigeon and the Andaman Pigs. The zoo is open from Tuesday to Sunday. The Aquarium - this aquarium is very interesting and displays the fish population, about 350 species, found in the Andaman seas. It is at the Marine Park. Mount Harriet - This is 365 metres high and is across the inlet, north of Port Blair. There is a trail up to the top of the mount. Take a ferry from Chatham wharf up to Bamboo flat and then it is 7 kms along the coast and up to the top of the mount. 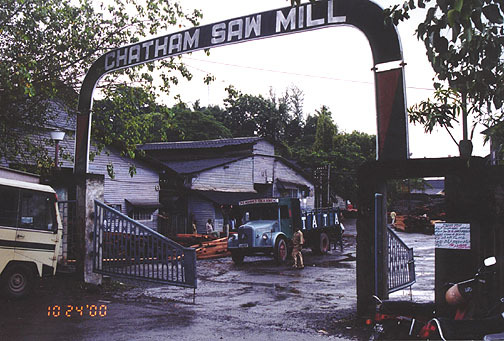 This mill is 5 kms north west of Aberdeen Bazaar. It is one of Asia's largest wood processors. It is open daily for visitors but for Sundays. It is a nice excursion to be visited from Port Blair if one is interested in wood processing. Water Sports Complex - this is near the Fisheries Museum. Here water skiing, windsurfing, snorkeling, etc can be done on payment. Sippighat Farm - This is a government farm that conducts experiments on newer strains of spices and is 15 kms from Port Blair. It is on the road to Wandoor. This place is famous for the 280 sq. km Mahatma Gandhi National Marine Park, which boasts of 15 islands with tropical forests, mangrove creeks and plenty of coral reefs(around 150 species of corals). Jolly Buoy and Red Skin Island are excellent excursions from here by boat. Wandoor is 29 kms from Port Blair in the southwest direction. Wandoor can be reached by bus from Port Blair in 1:30 hours. Wandoor also has many sandy beaches, which are noted for snorkeling, and some fine corals. There are no foreign embassies located in Andaman and Nicobar Islands, but the nearest one is in New Delhi. Indian Airlines has flight from Kolkata on Mondays, Wednesdays and Fridays to Port Blair. It continues also to Chennai. On Tuesdays, Thursdays and Saturdays flights run from Chennai to Port Blair and then onto Kolkata. The Indian Airlines office is round the corner from the General post office in Port Blair. Alliance Air also connects Port Blair with Chennai and Kolkata. Jet Airways has a flight from Chennai. The Shipping Corporation of India operates two to four sailings between Port Blair and Chennai or Kolkata. Once a month there is a ship from Visakhapatnam (56hrs). The trip from Chennai takes three to four days (60hrs) and the trip from Kolkata takes extra one day (66hrs) but the fares are the same for both the routes. The bookings close four days before the sail starts. MV Nicobar, MV Nancowry, MV Harshavardhana and MV Akbar are the vessels with deluxe, A class cabin, B class cabin and bunk type of accommodations for the sea farers with fares ranging from 5000 Rs. at the max to about 1000 Rs. min.